In addition to the services shown below, our normal cycle of weekday Morning Prayer will continue up to and including Friday 21st December 2018 as detailed in our Service Calendar. There will then be a break over Christmas and the New Year, with these services resuming on Wednesday 2nd January 2019. 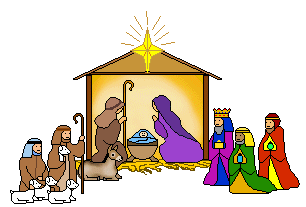 NB There will be no Holy Communion in St Catherine's Chapel at 9:30am or at St Mary's at 10:00am on Wednesday 26th December. NB There will be no Holy Communion in St Catherine's Chapel at 9:30am or at St Mary's at 10:00am on Wednesday 2nd January 2019. Please click on the links below to find us on Google Maps.